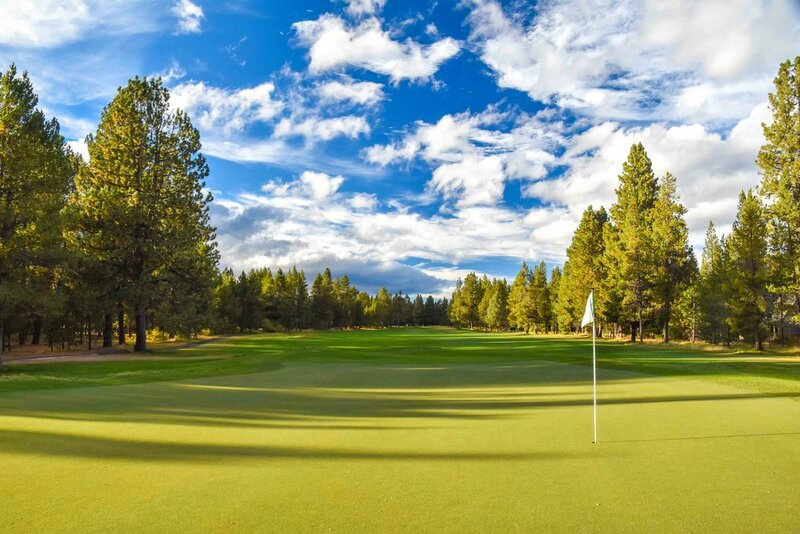 Sunriver Resort - Meadows - Bend, OR — PJKoenig Golf Photography PJKoenig Golf Photography - Golf Photos For Those Who Love The Game. 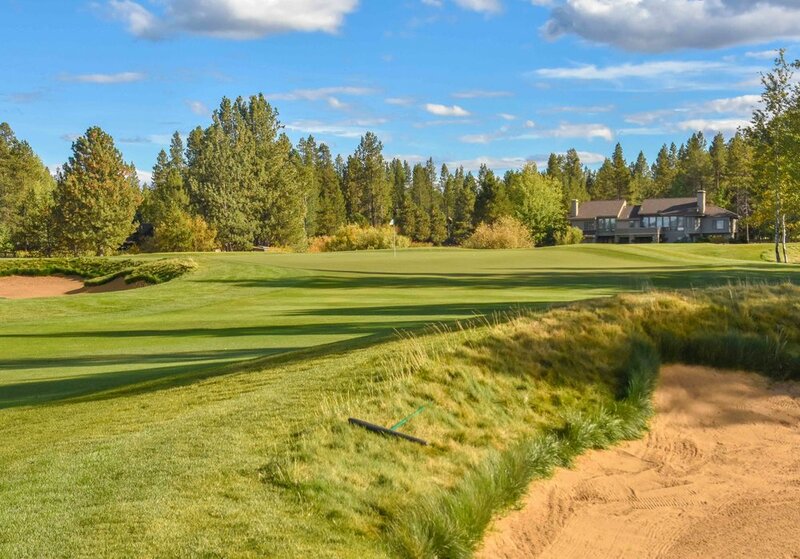 The Sunriver Resort boasts 3 18 hole layouts. 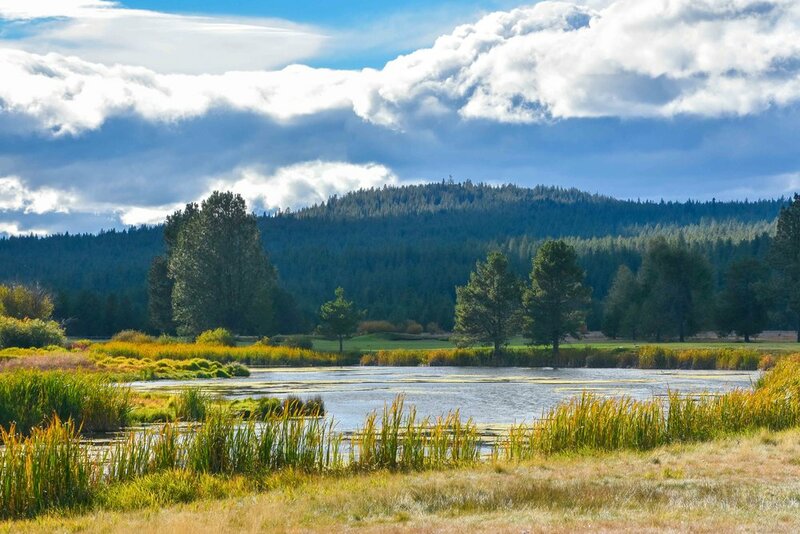 The Meadows course was designed by John Fought and combines the vibe from the Woodlands and Crosswater courses. 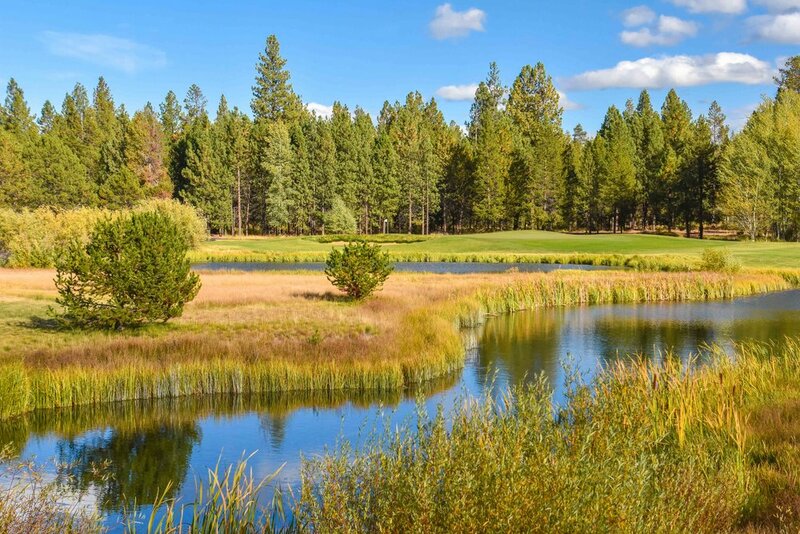 When the course is not winding it's way through the forest, you will find yourself bordering the Sunriver on 7 holes. 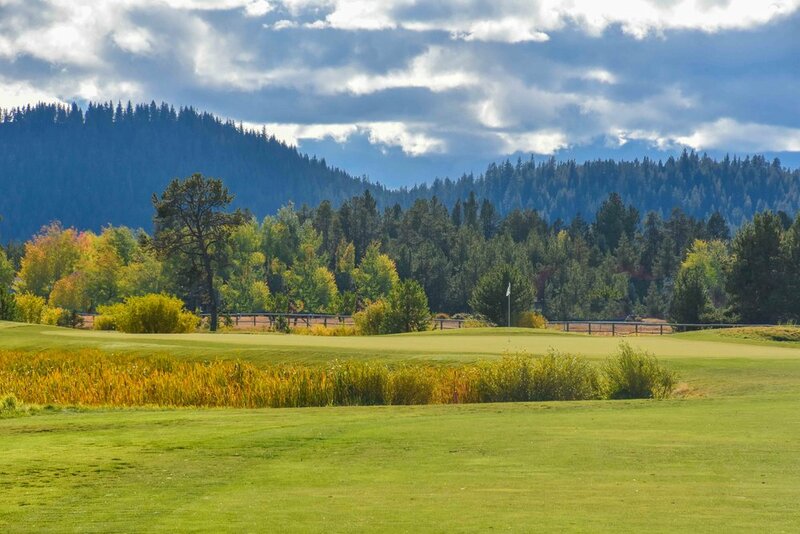 I teed off in the late afternoon for my 2nd 18 of the day. With absolutely no one in front of me, I birdied the first hole and took off racing. 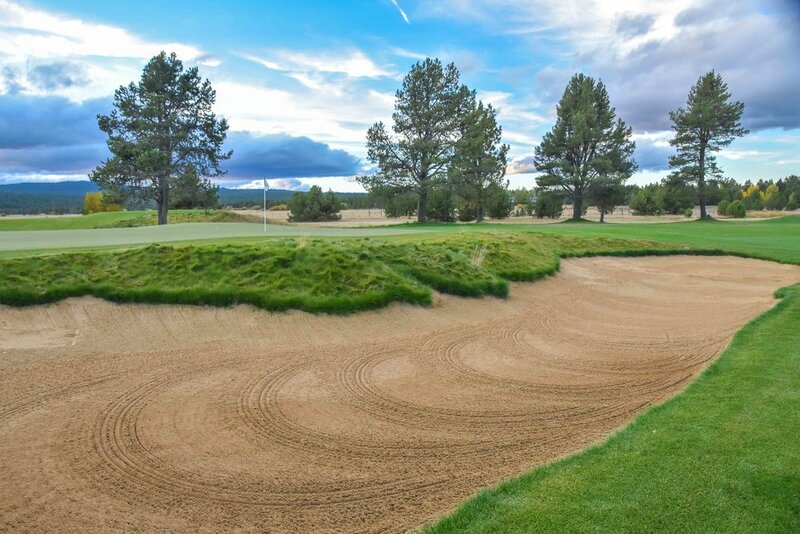 It would take 12 holes for me to make my 1st bogie and I was threatening to break 70 on the par 71 layout. 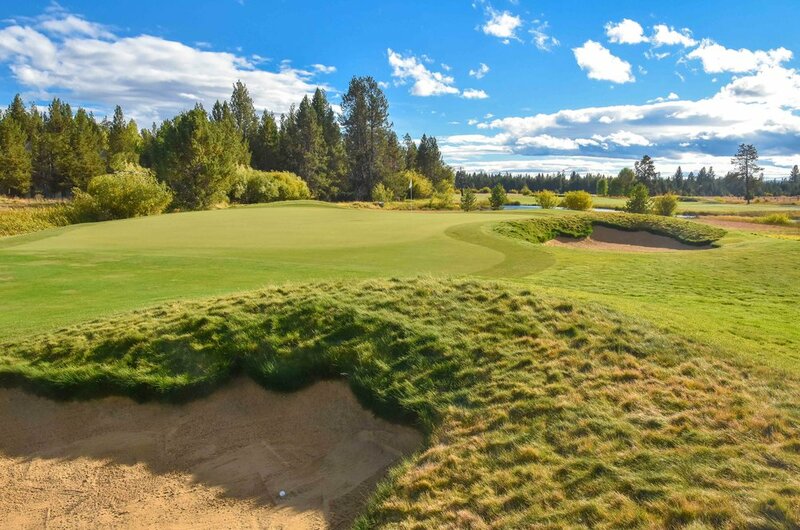 At 1 under par and after a poor tee shot on the par 3 16th, it looked as if the opportunity might slip away. That's when things got nasty and I chipped in my 2nd shot for birdie on 16. Fueled by the turn of events, I drained a breaking 20 footer on 17 for birdie to get to -3. After safely finding the green on 18, I had a relatively easy time finding the bottom of the cup for 68! Every time I find my way into the 60's, It feels like a small golf miracle has occurred. This was indeed one of my miraculous rounds of golf.